EMC Offers Experienced Wetland Science Work. Wetlands represent the most important ecosystems on Earth. Wetlands store and release water, transform nutrients, and have on the average the highest biodiversity of any region from the sea coast to alpine meadows. They also store flood waters thereby preventing downstream damage, provide clean drinking water for use by all people, and help mediate droughts by storing water for plants and animals. EMC performs all types of work involving wetland science. This includes wetland delineation and mapping, wetland classification, wetland mitigation, and wetland restoration. Dr. Rick Van de Poll principal of EMC has completed wetlands consulting work for the public and private sector since 1988. 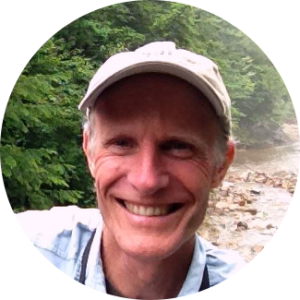 Dr. Van de Poll co-founded the NH Association of Wetland Scientists (now NH Assoc. of Natura Resource Scientists), served two terms on the NH Joint Board of Licensure, and wrote the initial wetland certification exam. He has taught wetland science courses since 1990 at Antioch University, Plymouth State University, and UNH Cooperative Extension. He currently serves as the Chair of the Site Selection Committee for the Aquatic Resource Mitigation (ARM) Fund. This fund has awarded over 16 million dollars in grants over the past 10 years and has helped protect over 11,500 acres.